1. The blades were designed specially to increase durability and crushing capacity. 2. Special bearing housing of rotor axis is located outside, which increase the bearing life, maintain and repair it easily. 3. Innovative design of the body has longer life and exchange the blade easily. 4. 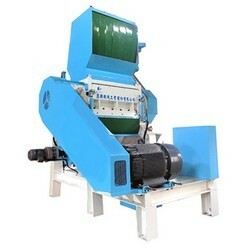 The washing type body has been equipped with the screw conveyer. 5. Series automatic protection ensure the safety of maintenance operation.